At the risk of losing a big part of our audience right now, one of the most thrilling games to date was the one upset of a 1-seed. 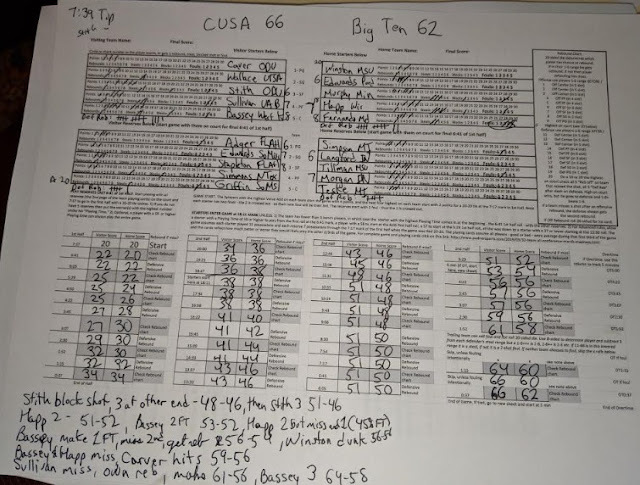 Below is the completed score sheet which sped up the time needed to play from 90 minutes to 30-minutes. The archives of early stories on the first Value Add Basketball All-Conference Tournament are here. The Value Add Basketball Game simulates each players' ability to get the ball and get shots off, rebound, hit from the line and inside and outside the arc, dish out great assists, guard the ball, as well as steal and block shots adjusted for the level of competition they faced. While we also calculated cards for every player who played at least 8 minutes a game for all 353 teams, we decided to start with a tournament pitting all 32 All-Conference teams during March Madness. Results to date. 1-seeds. The four conferences picked as 1-seeds each won by between 12 and 30 points against the 8-seed conferences. 2-seeds won three of four with the CAA shocking the American Athletic 90-82. However, the Mid-American barely held off Ja Morant and the Ohio Valley 78-74. 3-seeds averaged winning by 4.5 points, but that included two 6-seeds pulling out close upsets. 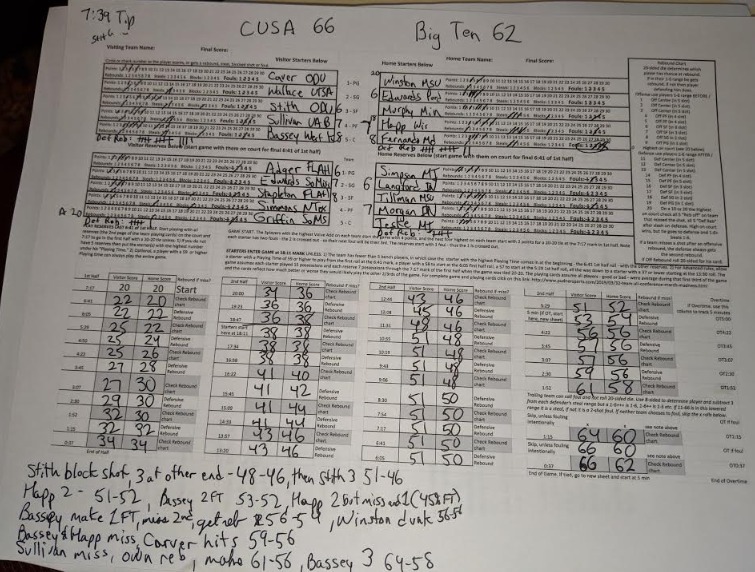 The ASun overcame the Southern 67-60,and the Horizon League won the thrilled of the tournament with a 64-62 win over the Mountain West after superstar twins Cody and Caleb Martin from Nevada both fouled out in the final five minutes. 4-seeds went 2-2 against 5-seeds with the Big South sneaking out a 76-71 win over the Sun Belt and the Big West turning in the shooting performance of the tournament with a 94-69 blowout of the WAC.